Is nothing sacred? Must we mix the crude with the beautiful? Blunt force and gossamer ties? The ancient with the primitive? Artistry with the profane? Wait – that sounds hot. Two of the most popular topics in kink in Chicago: rough body play, and rope. Like chocolate & peanut butter, hot dogs and jalapenos, and first dates & lube, the two should go together famously. I’m sure they often do, but how often have you seen a rope top do an amazing rigging only to start hitting like a sissy maid in a butch bar? Yeah. It hurts my soul. Fortunately, I’m going to be teaching on this very topic at Shibaricon this year (“Beating the Bound”), and this is a perfect time to harness the incubator of the Rough Crowd. Even though it’s different people every time, Rough Crowd has shown time and again to be populated with creative, intelligent, and helpful sick fucks. I’ve got some ideas of what to cover at Shibaricon, and I’ll bring that… and then let’s work through more ideas together. Please RSVP your interest at the event page! If you’ve never been to a Rough Crowd before (or if you just have questions), check out our “Rough Crowd details: What, Where, When, How”. It’s like a FAQ, but smaller. Rough Crowd is successful because you guys make it successful. When I post these things, they get as far as the people I know on my own feed, and the few groups I post them in. But the more people this reaches, the better. You can help! 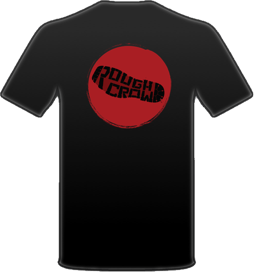 You can help get the word out by posting (or re-posting) about Rough Crowd, and linking to this discussion or the event page above, in any groups you’re a part of, or in your status. That helps spread the word beyond my own personal network, and we can reach a larger and more diverse crowd. The more the merrier, and new faces are always welcome and encouraged.